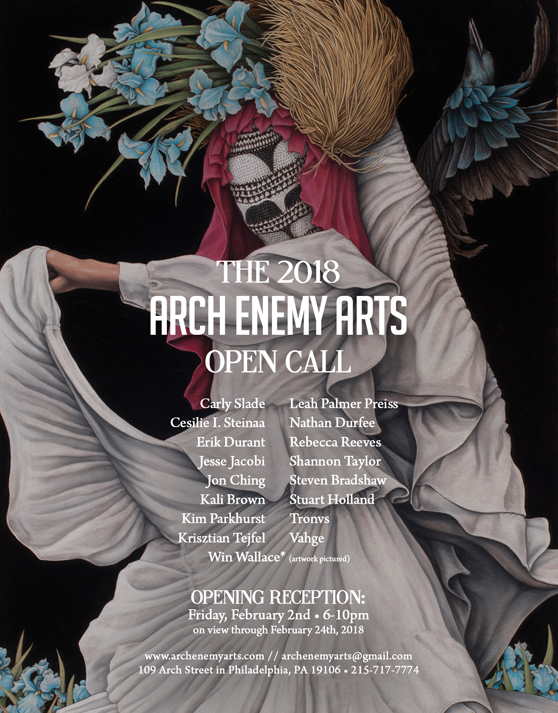 If you’re in or near Philadelphia, please stop by Arch Enemy Arts tonight for their Open Call 2018 opening! (2 February 2018 6-10 p.m.) Odd Fellowship will be there, along with a bunch of wonderfully imaginative art by other artists– the poster image above is by Win Wallace. I’m thrilled to be included, though sadly I won’t be there for the opening. The show will be up through the 24th if you can’t make it tonight either. 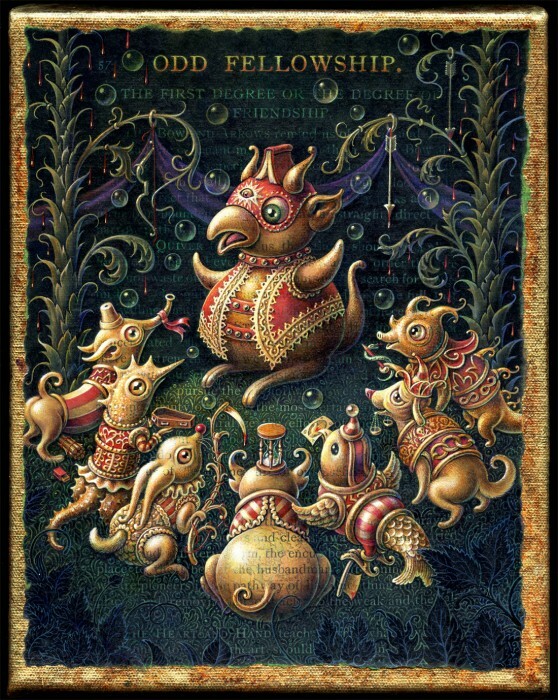 This entry was posted in Gallery, News, Paintings and tagged Acrylic, Arch Enemy Arts, Circus, Creatures, Gallery Opening, Monsters, Odd Fellows, Odd Fellowship, Painting on 2February 2018 by Leah. All images copyright Leah Palmer Preiss.